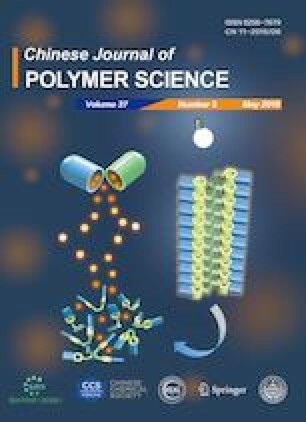 Functionalized aliphatic polyesters attract increasing attentions as biocompatible and biodegradable polymers with broad applications in biological science. In this contribution, we propose a facile and controllable synthetic technique for functional poly(ε- caprolactone) (PCL) via Janus polymerization, which comprises cationic ring-opening copolymerization (ROP) of ε-caprolactone (CL) with 3,3-bis(chloromethyl) oxacyclobutane (CO) and (coordinated) anionic ROP of CL at a single propagating chain by rare earth metal triflates (RE(OTf)3) and propylene oxide, thus generating block copolymers in one step. The compositions of the copolymers of poly(CLb-( CL-r-CO)) can be modulated by various RE(OTf)3. Scandium triflate catalyzes Janus polymerization to yield the copolymers containing the highest CO contents among all the RE(OTf)3 catalysts used with complete conversion of CL. The chlorine in CO repeating units is ready to be transferred into azide group which affords the modification sites to react with 9-ethynyl-9-fluorenol and mPEG-alkyne, respectively, via copper(I)-catalyzed azide-alkyne cycloaddition reaction with quantitative conversions of azides, as confirmed by FTIR analyses. According to NMR and SEC analyses, copolymers (PCC-g-PEG) bearing a homo-PCL block and a PEG-grafted block of poly(CO-co-CL) demonstrate well-defined chemical structures. The investigations on thermal properties reveal the strong phase separation between PCL and PEG blocks. The amphiphilic PCC-g-PEG is able to self-assemble into micelles in aqueous solution while cylindrical and lamellar morphologies are observed in bulk. We provide an efficient protocol to synthesize functional PCL combining onestep Janus polymerization and precise post-polymerization click reaction. Supplementary material is available for this article at https://doi.org/10.1007/s10118-019-2242-z and is accessible for authorized users. This work was financially supported by the National Natural Science Foundation of China (No. 21871232) and Zhejiang Provincial Natural Science Foundation of China (No. LR15B040001).